224 Medoc Ln, Moore, SC 29369 (#253673) :: Century 21 Blackwell & Co. Realty, Inc. 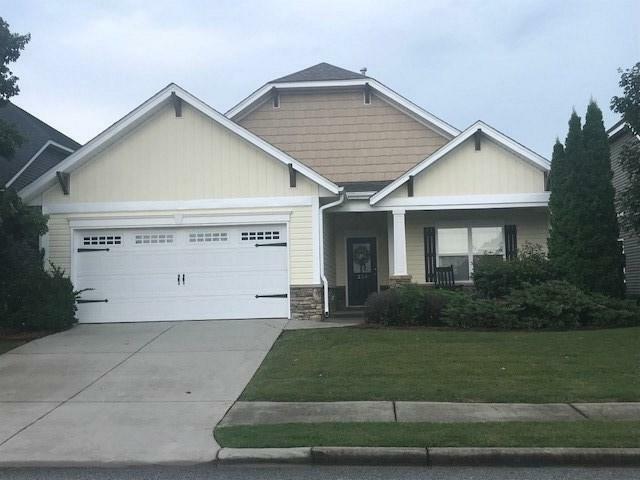 Fantastic location close to shopping and I-26 with pool in subdivision, HOA that covers ALL yard maintenance, and 3BR/2BA with neutral paint colors, and open and airy floor plan! Inside, enjoy a large bar area for entertaining and relaxing, a fireplace in the great room, and lovely wood floors throughout the kitchen, dining room, great room, and hallways. The modern kitchen offers a pantry for extra storage, too. In the living areas, find an inviting retreat with a large walk-in closet in the master bedroom, tile floors in both baths, and a whirlpool tub and separate shower in the master bath. Call today to see this gem for yourself! Listing provided courtesy of The Coleman Company.